The Developers Of Monument Valley Officially Announces The Launch On Twitter. You Can Pre-Register This Upcoming On Google Play Store By Clicking Here. Once The Game Released, You Will Recieve Notification. 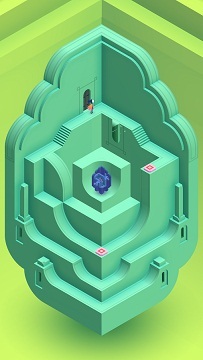 Monument Valley 2 presents a brand new adventure set in a beautiful and impossible world. Help Ro as she teaches her child about the mysteries of the valley, exploring stunning environments and manipulating architecture to guide them on their way. If You Never Played Monument Valley Then You Should Try It. The Sequel Of This Game Comes With New Story. The Previous Launch Hits Over 1 Million Downloads On Google Play Store. First Part Cost – Nearly $4.5. Size – 234 MB, Graphics – Excellent.